To help advance the field of gene therapy, Odylia has formed a pre-competitive consortium of companies both directly and indirectly involved in developing AAV gene therapies. This consortium includes members from pharmaceutical development companies, contract preclinical and clinical research organizations, contract manufacturing organizations, regulatory consultants, academics, and patient advocacy groups. Founded and funded by these partner organizations, this consortium fosters collaboration and cooperation between companies and organizations. The primary goal of the consortium is to change the current paradigm of bringing AAV therapies for rare disease to humans by significantly reducing costs, increasing speed and leveraging efficiencies while continuing to maintain safety. 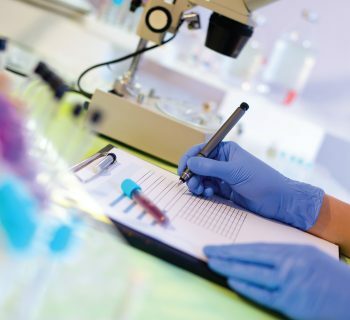 The path to a successful Investigational New Drug (IND) application and eventually to a Biological Licensing Application (BLA) is circuitous and poorly defined. While the recent approval of Luxturna© for the treatment of RPE65 deficiency has shown that a viable path to the clinic exists for AAV gene therapies, this road remains long, expensive, and enigmatic. By sharing pre-competitive knowledge and resources, the Odylia consortium seeks to benefit its members by clearly defining and shortening the critical path from laboratory proof-of-concept to clinical product for AAV gene therapies. The consortium works together, with input from regulatory agencies such as the FDA, to redefine both the preclinical and clinical pathways to regulatory approval. Our goals include such things as increased reliance on in vitro models for pre-clinical proof of concept, standardized vector release criteria and standardized Chemistry, Manufacturing, and Controls (CMC) sections of IND submissions, greater reliance on historical data, cross reference of studies, and lean clinical trial design including a new paradigm of combined phase I/II/III clinical trials. For more information on the consortium on how to join us, please contact Consortium@Odylia.org.